SYDNEY has moved quickly to secure two more of its exciting youngsters with Oliver Florent and Jordan Dawson re-committing to the club. 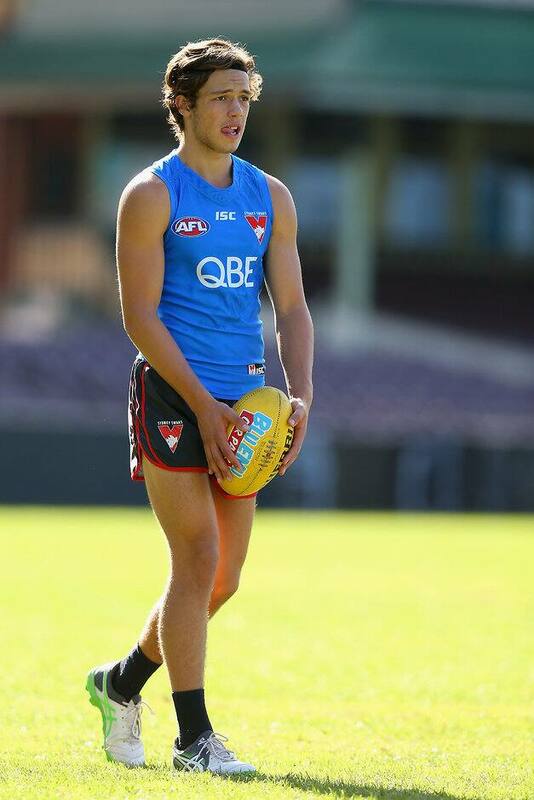 Florent, the Swans' first selection at last year's NAB AFL Draft and pick No.11 overall, has signed a two-year deal to keep him in Sydney until the end of the 2020 season. Dawson has also penned a two-year contract extension and will now be tied to the club until the end of the 2019 season, after being taken with pick No.56 at the 2015 draft. The pair join Isaac Heeney, Callum Mills, Will Hayward and Darcy Cameron as young Swans who have all extended contracts this year. Sydney's head of football Tom Harley said the club was happy to have the pair on board. "Oliver has settled in well – he’s a Melbourne boy – so to have your first-round draft pick commit beyond his mandated two-year contract is great," he said. "Jordan played his first game against Collingwood (in round three) and has been back in the NEAFL since, but he’s really starting to dominate games. “We think he’s a fantastic character and exactly the type of person we want to have around the club – and he’s developing really nicely as a footballer." A product of the powerful Sandringham Dragons, Florent has been impressive across half forward, playing six games in his debut season, and said he had no hesitation in pledging his future to the Swans. "I'm very excited, I know I've landed at a great club and to sign for another two years is really special," he said. "I'm just focused on playing a few more senior games, and hopefully I can play some good footy, and if we make the finals, I can play a part in it." Dawson, 20, has been in exceptional form in the NEAFL and is third in the league MVP award after averaging 29 possessions and kicking 19 goals from eight games. "We've been talking about the new contract for a few weeks now so I'm pretty happy to get it done," he said. "I'll keep pushing my case for senior selection to the coaches but the boys are playing well, so it's a pretty tough team to crack at the moment." With midfielder Zak Jones suspended, both Florent and Dawson will be in contention for a senior recall against Essendon at the SCG on Friday night after combining for 61 disposals and eight goals in the NEAFL last week.